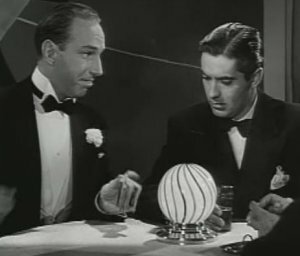 Wealthy stockbroker, Robert Cain (played by Edward Arnold), has gotten the bad news that he is facing jail time for embezzlement. 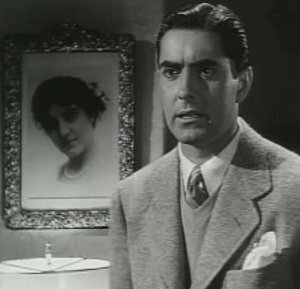 He is not as much concerned with the jail sentence as he is with how his son, Bob Cain (played by Tyrone Power), will handle the news. As it turns out, Bob doesn't take the news well at all. Bob is first seen at college, busy with his rowing team friends, at what appears to be an Ivy League school. His father had intended to meet him at college to prepare him for the announcement of embezzlement charges against him. Because Cain is arrested as he is ready to go see his son, the father's lawyer goes instead. He pulls him aside to tell him the news before he would read it in the papers. He leaves college immediately upon hearing of the charges against his father. The first scene between father and son is rather tense. Bob bitterly rakes his father over the coals for tarnishing the family name. 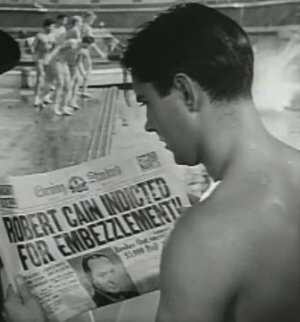 The scene ends badly, with Robert Cain as much as telling his son he won't be seeing him again. Bob stalks out of the room in anger. Despite his anger and disappointment in his father, he does show up at the sentencing, and, later, he makes it his mission to get his father released from prison. He learns quickly that he must have money to do so. His father's lawyer informs him that after all the creditors had been paid, there would be no money left. He goes from workplace to workplace, unable to find employment, due to the stain on the family name. Finally, he does manage to get employed, but only by changing his name. Once found out, however, he is fired and is again unemployed. He seeks the help of his father's lawyer in getting him released from prison, but the lawyer dances around the subject, in effect refusing to offer help. 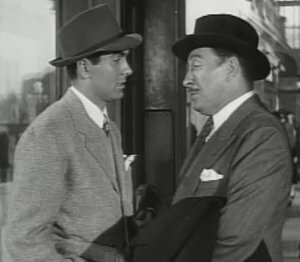 Bob eventually ends up on the doorstep of Judge Brennan (played by Charley Grapewin), who has had success, however unethical, in getting paroles for convicts. 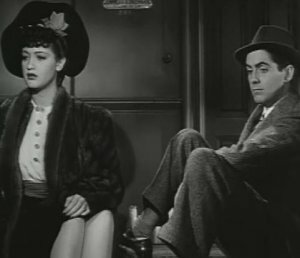 There, Bob meets the pretty Lucky (played by Dorothy Lamour). She is the girlfriend of gangster, Mickey Dwyer (played by Lloyd Nolan), but it is obvious that she is attracted to Bob. Bob ends up changing his name to Johnny Apollo and joining Mickey Dwyer in a life of crime. As Dwyer's righthand man, he begins making enough money to pay Brennan to get his father released from prison. When his father learns about the shady life his son is leading, however, he disowns him. 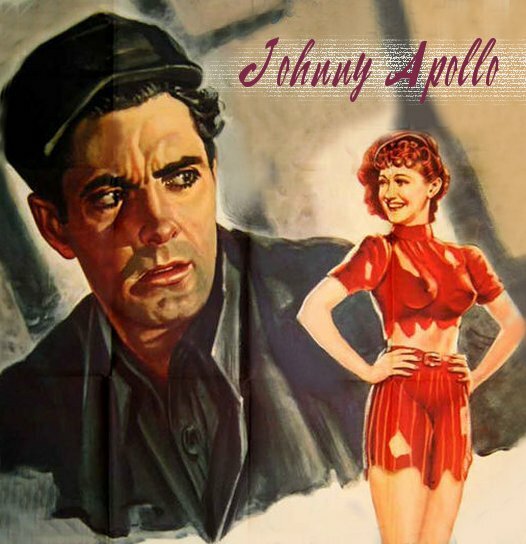 As time passes, "Johnny Apollo" gets in deeper and deeper on the wrong side of the law. When he gets arrested, Lucky, who is now very much in love with "Johnny", asks Brennan to help "Johnny" stay out of prison. Brennan does go to the D.A. with evidence on Dwyer, making the deal to let "Johnny" go free in exchange for Dwyer. Because Dwyer is suspicious that Brennan is ready to turn against him, he follows. When he realizes Brennan's scheme, he murders him. With Brennan dead, the D.A. goes back on the deal to give "Johnny" his freedom in exchange for Brennan's help in putting Dwyer behind bars. "Johnny" ends up going to jail about the time his father is ready to be released, but he and Dwyer have plans for a jail break ("Johnny" was unaware of who murdered Brennan). Lucky tries to stop the break, fearing for "Johnny's" safety. She goes to see "Johnny's" father, telling him that anything that his son had done was done just to secure his release from prison. She tells Robert Cain of the escape plans. It is then that "Johnny's" father decides to try to help his son.